Kimberley Hotel Georgetown rooms are uniquely decorated with a vibrant undertones and ambiance selections, adorned with the combination of both classic and modern furniture style. With the unique architecture, the room corridor balcony area gives you such a breathtaking view of Penang Georgetown City that famous of its culture and exotic lifestyle. 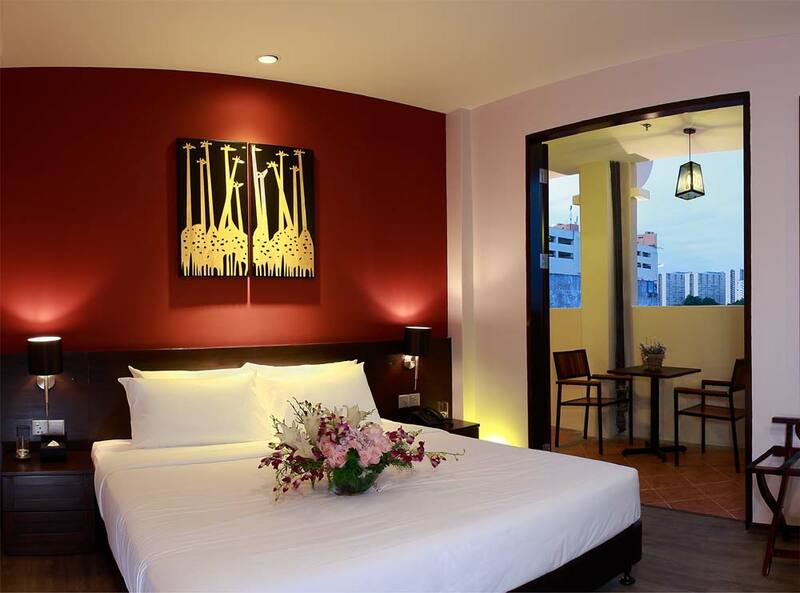 Simply decorated and set in such neutral undertones that provides a calm feeling of your hotel stay. The room comes with an attached bathroom with hot & cold shower. Basic bathroom amenities are available upon request. Cool undertones setting was made to give you the soothing and refreshing vibes in the room. The attached bathroom with hot & cold water shower is completed with basic bathroom amenities. Dashingly designed with a daring and exciting colour vibrant gives you a great sense of warmth and energy. 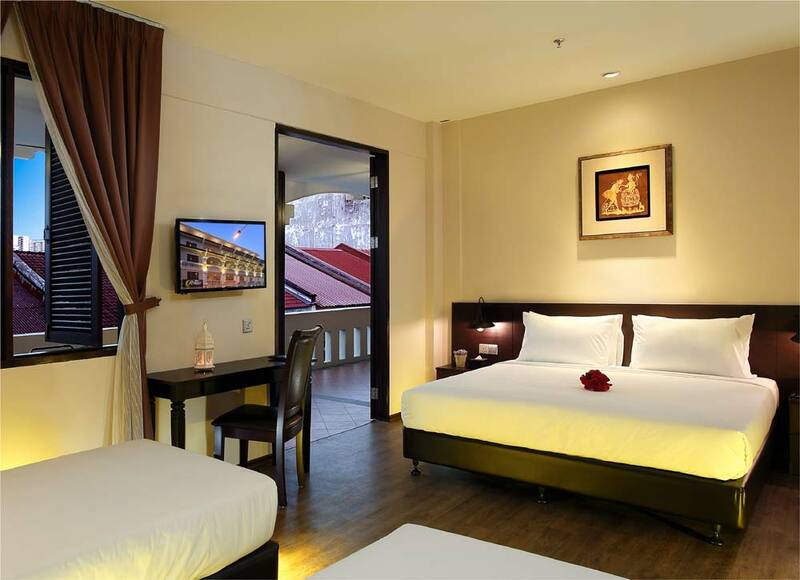 Not only it comes with an attached bathroom, the room balcony that gives you a great night view of Georgetown city is a great bonus to your stay. 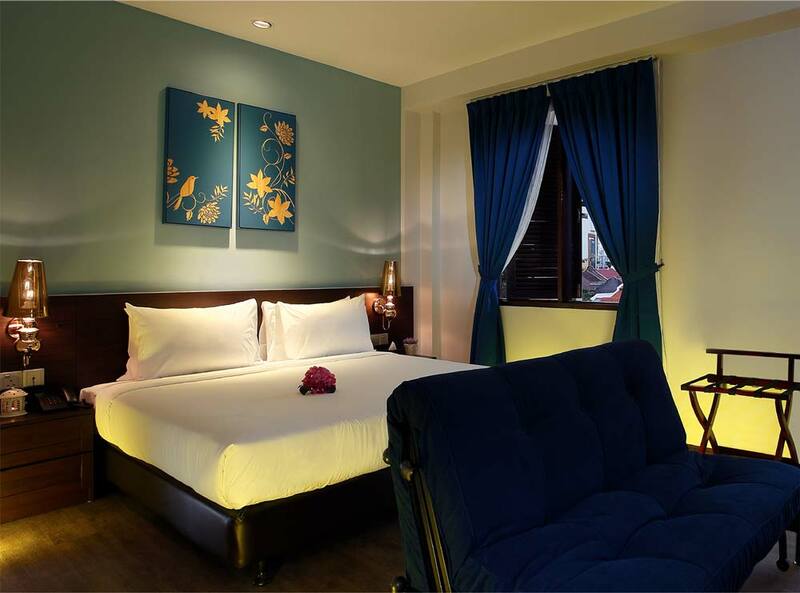 Luxurious corner suite room with a sitting area and spacious bathroom with complete basic bathroom amenities. 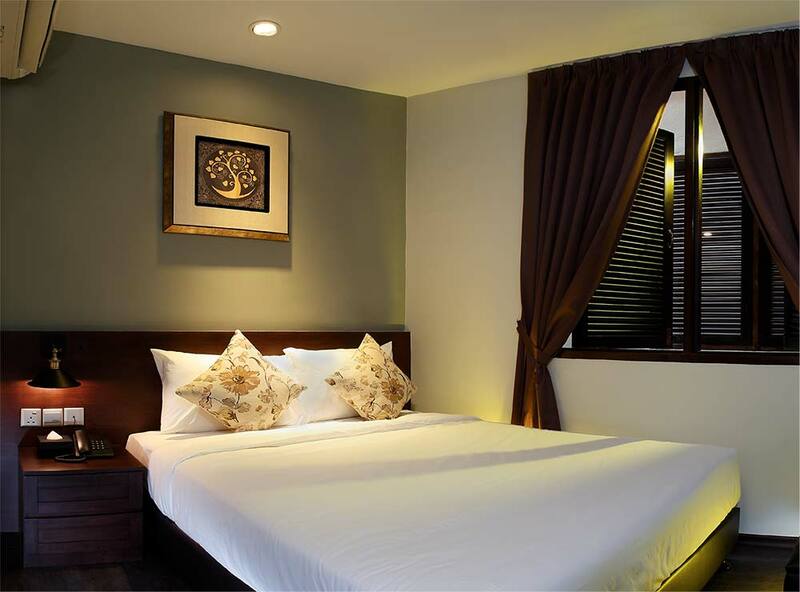 Room is decorated with a warm, yet relaxing mood for your comfy nights. Furnished with a minibar settings and in-room safe for your personal use. Palatial family room beautifully and simply designed for a small family getaway. 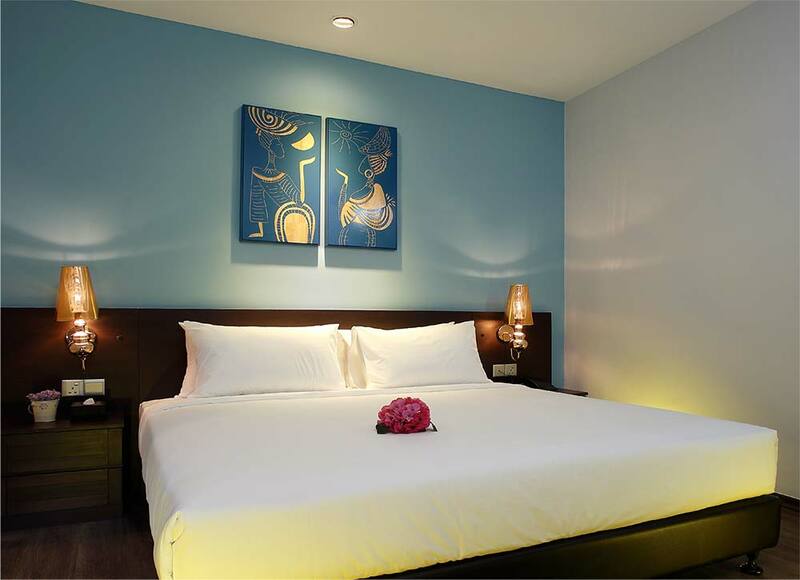 Room is attached with a largely sized bathroom with complete basic bathroom amenities, furnished minibar settings and in-room safe with a casual touch of sitting area in the city view balcony. Oversized family room greatly enhanced with a fusion style furniture. Suitable for family of 4 with an enormous bathroom with complete basic bathroom amenities, furnished minibar settings and in-room safe, not forgetting the marvellous view of Georgetown City from the balcony sitting area.